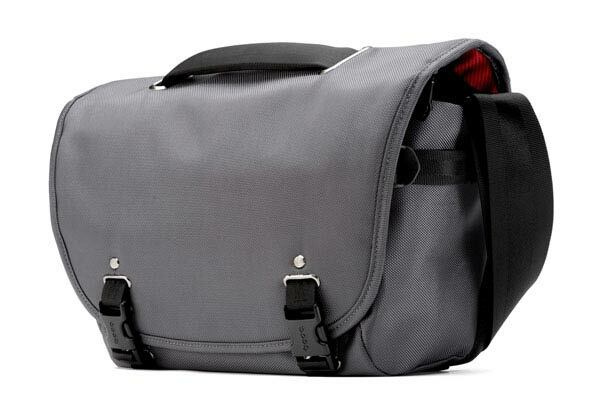 We have reviewed a number of bags in the past for your laptop in the form of a tote and a backpack, but this time we have a camera bag from booq, dubbed the Python Courier. The courier is built tough to carry your DSLR camera with two additional lenses along with having a dedicated pocket for your iPad. 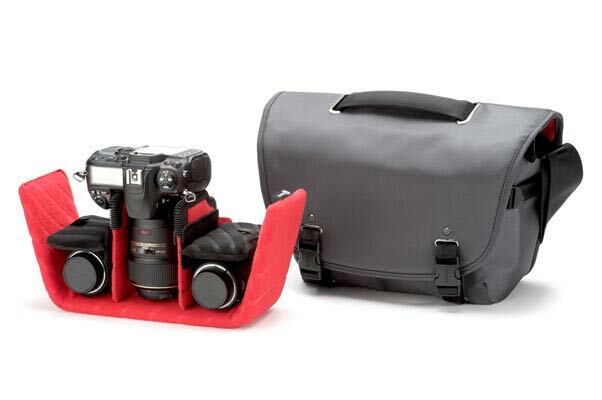 This more minimalistic bag is built to take just your camera necessities or can be converted into a day pack by simply pulling out the Velcro lining and dividers. Another feature that I was unaware of before delivery was Terralinq; each bag has a unique code that help’s booq locate the rightful owner if misplaced and returned to booq. Now that a couple desert shoots have been completed, lets how this compares to other sling bags used in the past. I was pleasantly surprised by this bag, at first I thought it was a bit large for the few items in which it could carry but in the end, the size and available space was just right. It holds everything and provides peace of mind with the padded dividers and a couple small pockets for the occasional items that have to go with you. What I appreciated most was how comfortable it was to carry with the wide seat belt shoulder strap, no slip pad for comfort during extended use, and pass through for ease while traveling with your wheeled carry on. It is easy to get into and locate exactly what you are looking for, and also able to stay shut by Velcro in case you are frequently getting into, without having to unbuckle each time you need access. I would be hard pressed to find anything wrong with this bag. In the beginning I thought it was a bit over sized, but in the end it resulted in being just a touch more than I needed. I will say one thing though, on the fact sheet it says that the Courier can hold 2-4 lenses. I find this hard to believe, but if you are creative enough with your space management and do not possess any high zoom lenses then this may possible but a little hard to believe. I have used a number of bags from laptop to camera and messenger to backpack. 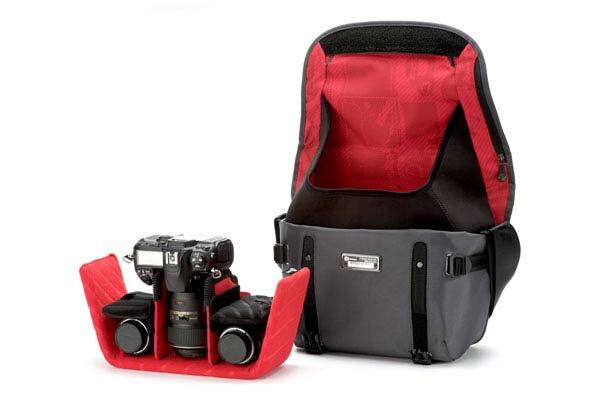 At the end of the day this is a great bag for the recreational photographer. 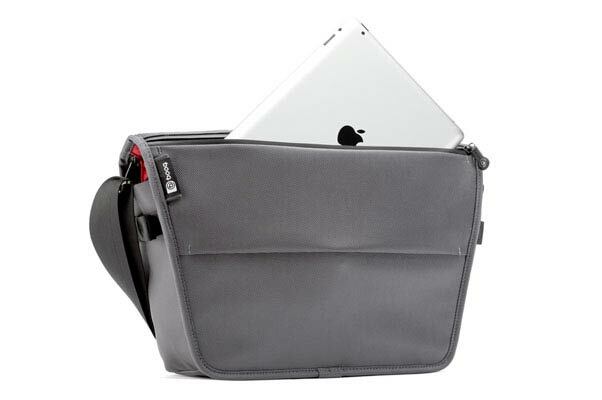 It is even better though that it has the space available to bring along your iPad, you know, for those times your shooting where there is WiFi access. It is nice that it is also big enough to be used as a day pack for when there isn’t enough space in your pockets and you are not going to need to carry around your camera and lenses; in those situations I bring along my point and click camera and just store it in one of the few smaller pockets.